Ericsson and IBM has announced a collaboration to jointly research phased-array antenna designs for 5G, allowing networks to provide customers with data speeds orders of magnitude faster than what is available currently. As mobile device manufacturers race to provide the latest features and applications to consumers, and wireless machine-to-machine (M2M) technologies are increasingly used in many areas of society, operators will see rapid growth in data and bandwidth demands. According to the June issue of the Ericsson Mobility Report, by 2019 there will be a ten-time growth in mobile data traffic and the 200 million M2M devices in use at the end of 2013 will grow by three to four times, before 5G even arrives. “Ericsson is performing world-class radio research that will enable the extremely high data rates that will be required in the future,” says Thomas Norén, Head of Product Management Radio, Ericsson. “We have already showed 5 Gbps over-the-air in trials back in July. We are also working to solve the size barrier and look forward to developing antenna technology with IBM that will open up possibilities for new uses. “We recently launched the industry's most flexible small cell, which allows for concurrent use of multiple technologies. Even with its tablet-sized footprint, the form-factor was limited by components inside. “This research collaboration will help us enable mobile network builds that provide the right coverage and capacity even in the densest urban environment." As a result, Ericsson and IBM will research phased-array antenna techniques to develop prototype systems that will serve more mobile users, enable a multitude of new services on the same frequency, as well as offer data speeds that are orders of magnitude faster than today - competitive to existing cable and wired internet access speeds. The phased-array design allows for more directional antennas that are electrically-steerable and will have significant weight and flexibility advantages over existing mechanical antennas. The outcome of these technological advances will integrate on the order of a hundred antennas and radios on a single chip smaller than a credit card in size, facilitating the use of these technologies for high-capacity small cells in indoor spaces and dense downtown area. "We have accumulated over 10 years of experience in developing radio frequency (RF) integrated circuit and packaging solutions, demonstrating highly integrated phased arrays for various applications,” adds Dr. Mehmet Soyuer, Manager of the Communication and Computation Subsystems Department, IBM Research. “We look forward to collaborating with Ericsson to help shape the future of mobile communications." History shows that a new mobile standard has been released in every decade, starting with what can be considered 1G in the 1980s, 2G in the 1990s, 3G in the 2000s, followed by the 4G standard in recent years. Ericsson believes that adoption of the next generation 5G standard will begin in 2020, so new technologies will need to be explored now in order to be in place to support the major rollout. In order to provide the infrastructure for future mobile innovations, Ericsson is putting focus on how the industry will adopt the 5G standard globally to deliver capabilities and services beyond the mainstream 4G offerings. 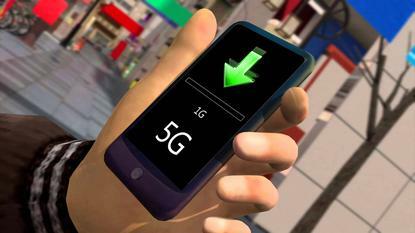 One important requirement of the 5G standard is the ability to increase data capacity to each user as well as support a higher number of mobile users and new devices. Advanced antenna technologies are one of the key means that will be used to meet these requirements. Ericsson believes that there will be a need for a next generation mobile technology in the coming decade, 5G, and sees that as an evolution of LTE, in addition to new wireless technologies. 5G will represent an evolution of the user experience, but it will also enable new device-to-device and M2M applications that will impact both consumers, and industry. These future solutions will build upon the investment that operators have made in 4G LTE, and will leverage higher frequency bands and smaller cells for better performance.